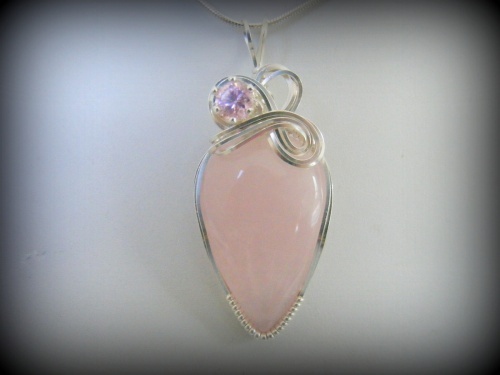 Rose Quartz gemstone accented with pink zircon make this piece really unique. Embelished with a sterling silver frame and curls that are hugging the zircon. Piece measures 2" from top of bail to bottom of pendant and 3/4" wide. Comes with a sterling silver snake chain.